On Jan. 30, U.S. Senator Elizabeth Warren (D-MA) and U.S. House Armed Services Committee Chairman Adam Smith (D-WA) introduced companion bills in the 116th Congress to establish the policy of the United States to not use nuclear weapons first. Sounds like a no-brainer for rational people. Nuclear weapons should never be used. Under what circumstances would our country ever consider using them first? No rational person could come up with a scenario to do so that would stand the light of public scrutiny. Russian President Vladimir Putin said Russia would only use its nuclear weapons in response to an incoming missile attack. He acknowledged the global catastrophe that would result from a nuclear war. “We can’t be those who initiated it,” Putin said. H.R. 921 has 25 house co-sponsors, all Democrats. S-272 has six co-sponsors including five Democrats and one Independent. None of the six members of the Iowa delegation to the 116th Congress has signed on as a co-sponsor. That is unfortunate. Iowa’s agricultural industry would be particularly hard hit in the aftermath of a limited nuclear war elsewhere in the world. Smoke and debris thrown into the upper atmosphere would disrupt the growing season. Crop yields in Iowa and other Midwestern states, as well as in other parts of the world, would plummet according to a 2012 study, due to declines in precipitation, solar radiation, growing season length, and average monthly temperature. As many as two billion people would be at risk of food insecurity. There is no adequate medical response to a limited nuclear war. “We know from the International Committee of the Red Cross’s first-hand experience in Hiroshima in 1945 that the use of even a relatively small number of nuclear weapons would cause death, injury and destruction on a massive scale, that there would be no effective means of providing aid to the dying and wounded, and that those exposed to radiation would suffer life-long and fatal consequences to their health,” Kathleen Lawand, head of ICRC arms unit said. Preparing for a limited nuclear war, one which should never be fought, is costly. The Trump administration is planning to spend more than a trillion dollars to upgrade the U.S. nuclear weapons complex, including improved weapons, delivery systems and labs. They are even considering development of so-called “low-yield” nuclear weapons which were phased out at the end of the Cold War. Those funds could be better used elsewhere or could even pay for tax cuts. My ask is modest. The Iowa delegation to the 116th Congress should sign on as co-sponsors to the no first use bills. It is a rational first step in reducing global tensions surrounding the use of nuclear weapons. Those of us in the nuclear abolition community would ask for a lot more, but a no first use policy is something upon which people could agree without even considering more controversial aspects of a ban on nuclear weapons. There is no cure for a nuclear war. We must prevent what we cannot cure. 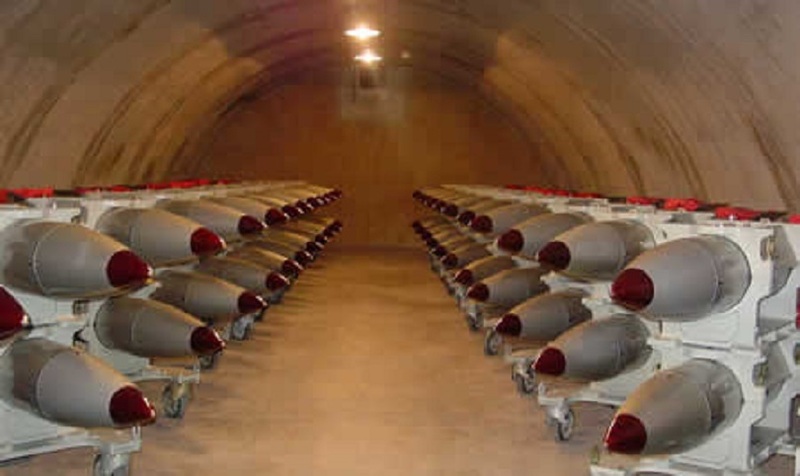 This entry was posted in Nuclear Abolition and tagged Nuclear Abolition, nuclear weapons. Bookmark the permalink. Such an important last line, Paul!